In Australia, KSB serves the entire country's pumping needs from two major facilities and five sales and service centres. 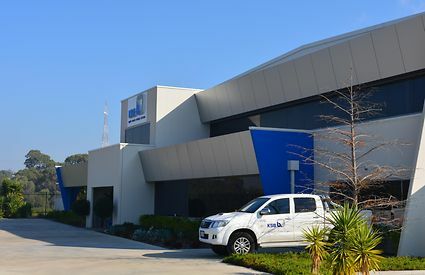 KSB Australia's head office is in Bundamba, Queensland - just outside Brisbane. With sites at Brisbane, Sydney, Melbourne, Adelaide and Perth, a total of 120 employees ensure faultless production, optimal customer support and excellent service. KSB Australia's sites have 10,000 sqm of warehouse facility, stocking a selection of products ready for dispatch. KSB maintains comprehensive stocks of standard pumps, slurry pumps, spare parts, and more. KSB Australia can source water, waste water pumps & booster pumps on any scale. We offer maintenance and repairs for the full range of KSB, GIW Minerals, Ajax, Forrers, and other brands of pumps. Our team of experienced engineers are on-hand to offer modern, efficient solutions for any fluid transport application. Supported by KSB Australia's 24-hour emergency service and network of authorised dealers. Contact us today to discuss the best comprehensive solution for your next pumping project.